Last week, we introduced our Corporate Service Manager, Hugh Evans after telling you how we’ve changed the way we work at DVLA . 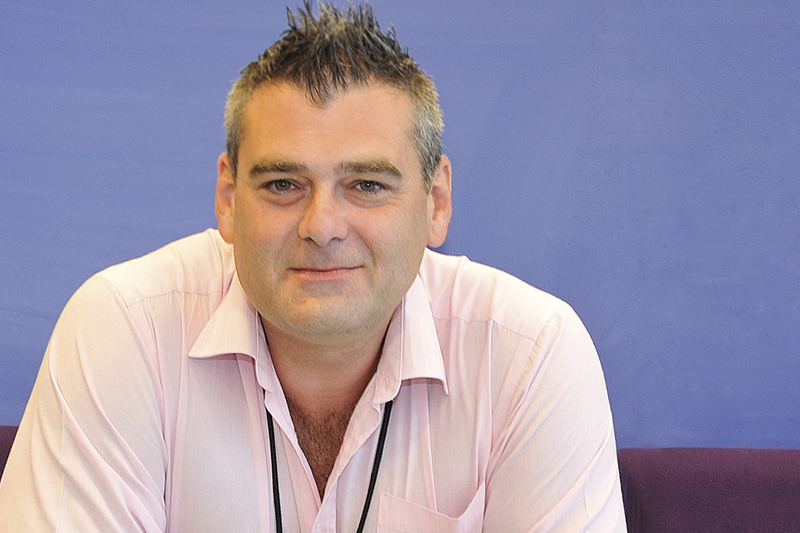 We’ve now caught up with Dudley Ashford to discuss his role as DVLA’s Drivers Service manager. Hi Dudley. Can you tell me about your responsibilities? As Drivers Service Manager, I've overall responsibility for the existing DVLA driver services as well as designing and implementing new driver services based on the needs of our customers. How has the service manager structure at DVLA changed the way you and DVLA work? The new structure has created a real focus on delivering quality driver services. We work very closely with Hugh Evans resulting in continuous interaction with our commercial customers. How is your team structured to deliver your services? The team is divided between enquiry and transactional services. Enquiry services develop services on an Integrated Enquiry Platform, this includes MyLicence, Share Driving Licence and Access to Driver Data. These services, for the most part, are about allowing the customer to view driver data. On the transactional side, which is more about giving the customer the ability to change driver data, we’re looking to enhance our current services - such as our online ‘change of address’ service. Development is also underway to digitise and improve our drivers medical service. Our development teams, with their digital expertise, are dedicated to creating services using agile to meet the needs of our customers. As a result, we've been able to demonstrate working software early on and showcase this to our commercial users. This allows us to make design changes quickly based on user feedback. As an example, Share Driving Licence prototypes of service were tested with commercial stakeholders to gain feedback. We then invited those users to test at the private beta stage allowing us to make service enhancements right up to the day the service became available. How will your role help deliver change for stakeholders and commercial customers? The emphasis is on working closely with commercial customers and stakeholders to properly identify user needs to deliver and enhance the driver services we provide. How will you ensure our stakeholders and commercial customers are kept up to speed with everything? With Share Driving Licence, we developed and maintained a close rapport with our users, inviting them to use and test the service. Not only were they aware of the service - they had the opportunity to use it whilst in development. Again this allowed us to make enhancements prior to the service going into public beta. Feedback on Share Driving Licence has been very positive and we’ll continue to act on user comments and suggestions throughout the public beta phase. How do you see you and your team working with stakeholders and commercial customers to deliver new DVLA services? Our main focus is on user insight. We need to ensure the services we deliver provide a significant benefit for our commercial users, stakeholders and DVLA. What are the biggest challenges of your role? Over the last couple of years, DVLA has demonstrated its proficiency in delivering quality digital services. We need to ensure this continues as we look to upscale our digital offerings. What’s your long term goal? Where appropriate, I want to offer a digital channel for all our driver services. This will reduce the burden on paper, telephony and provide a faster turnaround on driver transactions. Is there a particular message you would like to give our stakeholders and commercial customers? I welcome their continued support in the development of driver services and encourage them to participate in the private beta stages. This is a new opportunity to get feedback that wasn’t available previously and is very effective in promoting communications and ensuring that the service is optimised for their needs.